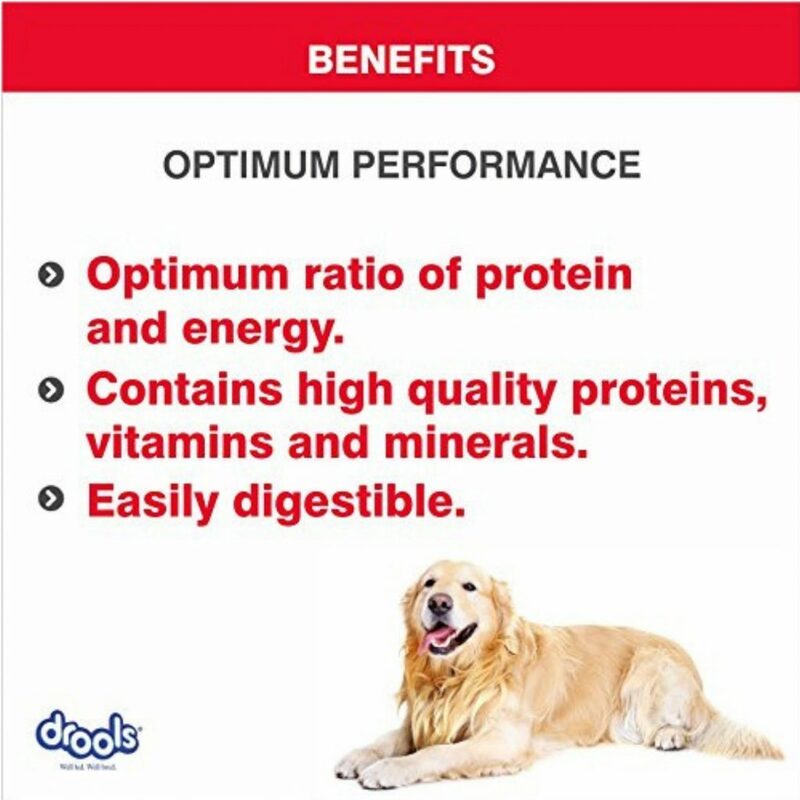 --SPECIAL PROTEIN FOOD FOR ADULT DOGS- Drools Optimum Performance Adult Dog Food is a diet made with special protein formula which is apt for adult dogs above one year of all breeds. 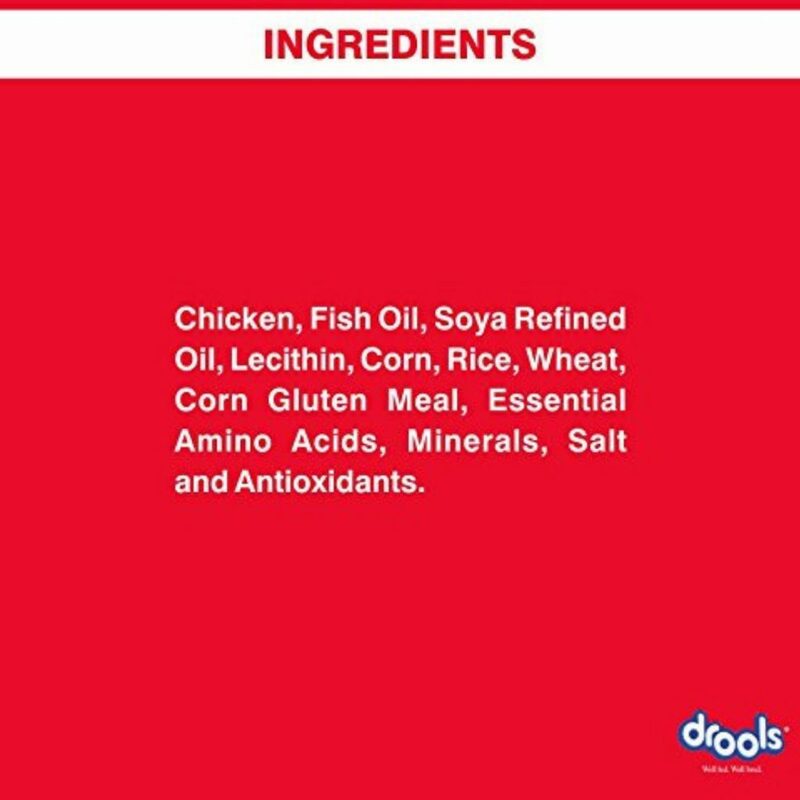 --A WHOLESOME DIET- This diet is an assortment of antioxidants, vitamins, organic minerals and all essential nutrients which makes it a wholesome diet for pooches. 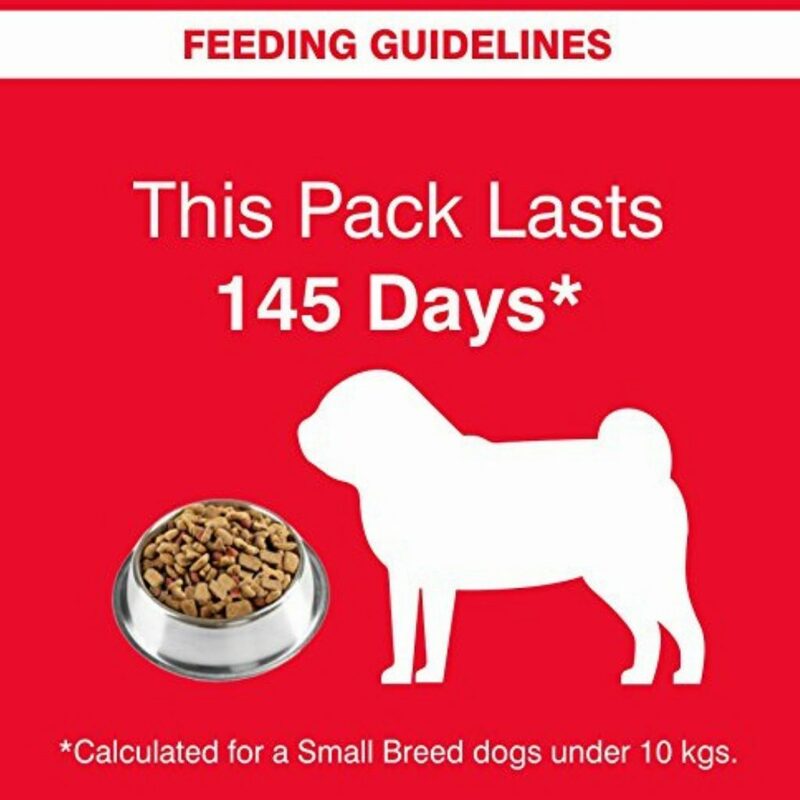 --PROMOTES HEALTHY SKIN & COAT- This dog food contains omega3 & 6 and other essential fatty acids that promotes healthy skin and coat and makes it more shinier. --IMPROVES IMMUNITY- This food is made with super antioxidant formula for neutralizing free radicals in the body thereby boosting overall immunity. 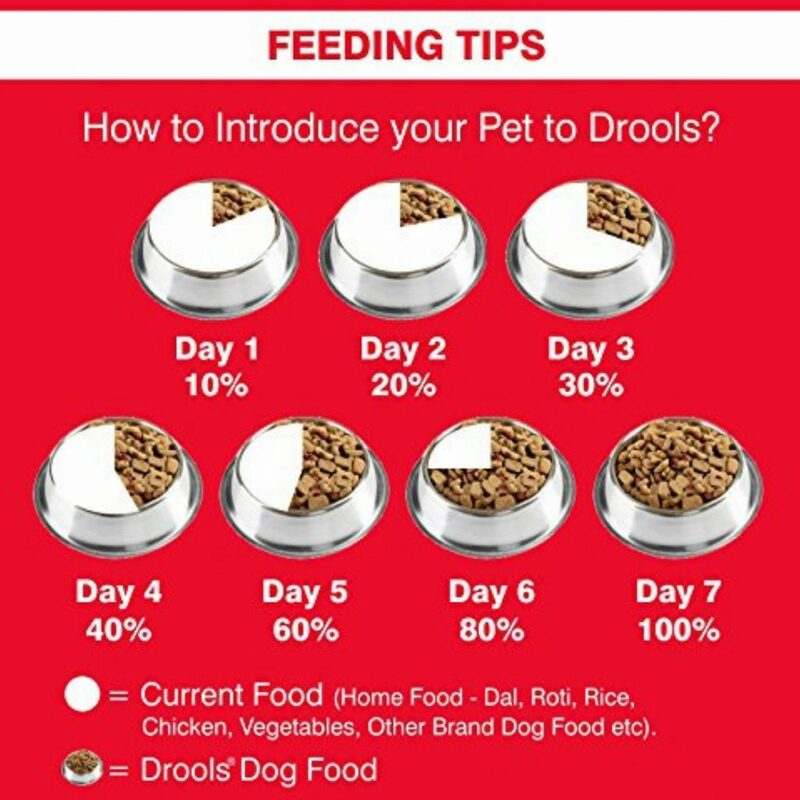 --IMPROVES DIGESTION- The diet contains both probiotics and prebiotics that helps in improving digestion of adult dogs. --IMPROVES BONE STRENGTH- This feeder is an assortment of natural antioxidants, vitamins and organic minerals that ensure robust skeletal development and helps in improving bone strength. --MAINTAINS ENERGY LEVELS- This diet meets the high energy requirements in active adult dogs of all breeds. 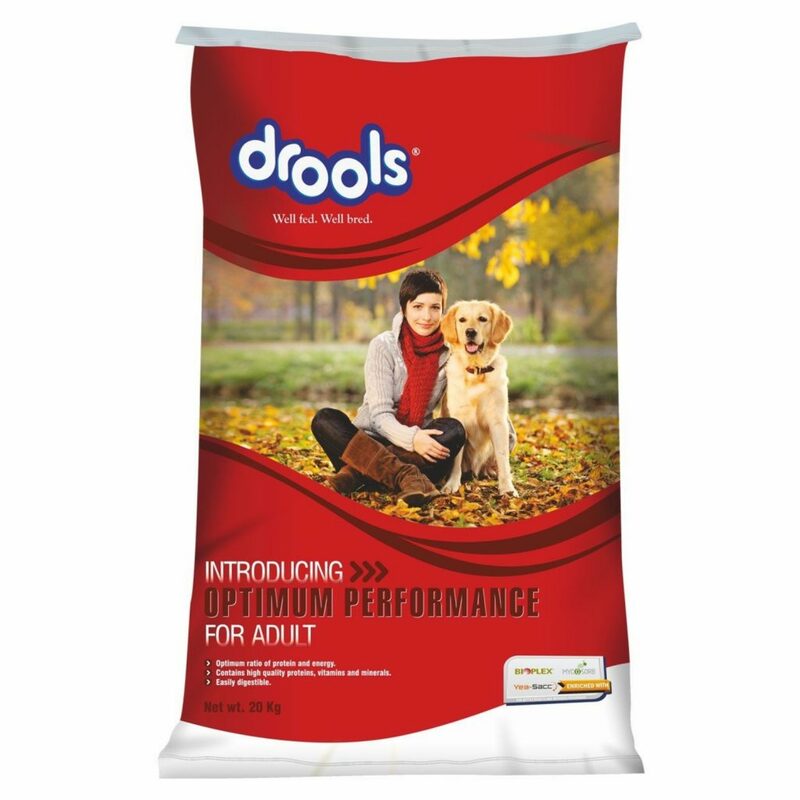 Drools Optimum Performance Adult Dog Food is formulated to maintain the adult dog's health. This diet contains high-quality protein, which is sourced from chicken that helps in meeting all the health requirements of a pooch. This dog’s diet also contains essential fatty acids that promote the shine of the skin and maintains the health of the coat. This food is made with a super antioxidant formula for neutralizing free radicals in the body thereby boosting overall immunity. 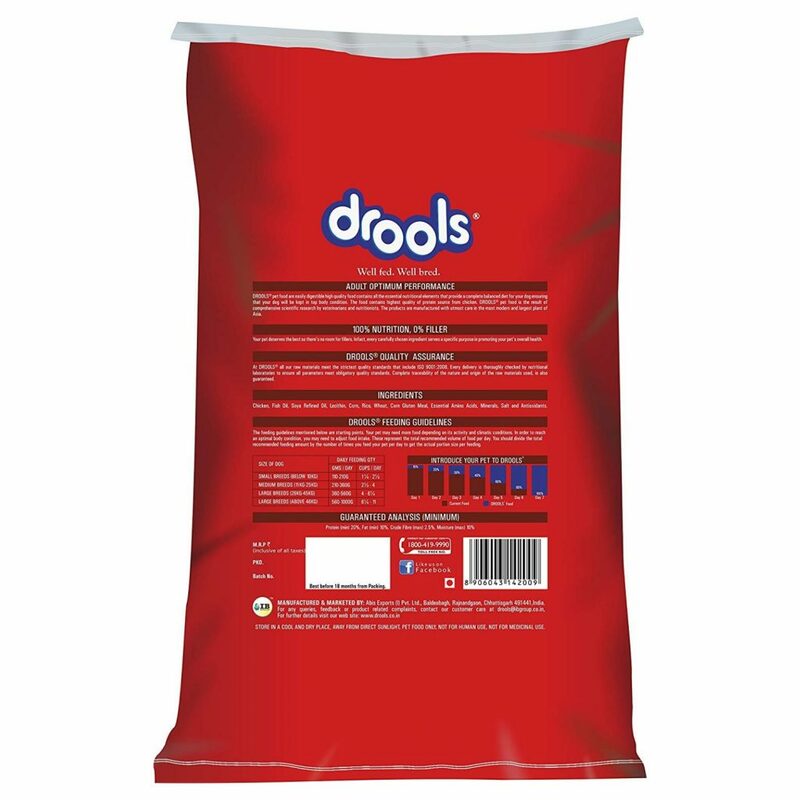 This dog food also contains both probiotics and prebiotics that helps in improving digestion of adult dogs. This diet meets the high energy requirements in active adult dogs of all breeds.